Mahindra has finally heard us all enthusiast and customers. A 125cc scooter was necessary and is finally here. We were all pretty much right too. 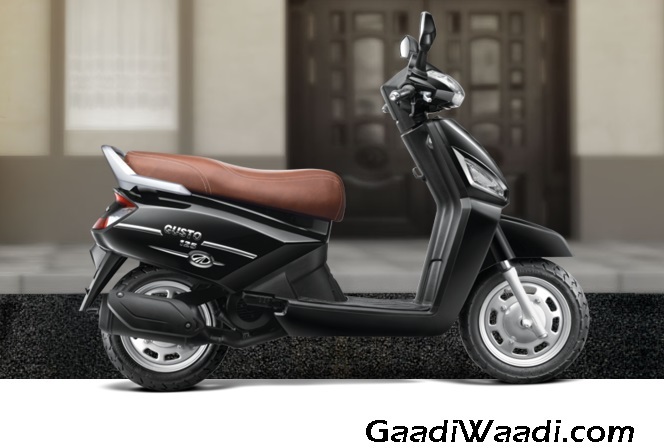 Our sources now confirm with us that the G108 Scooter is the the Gusto 125. 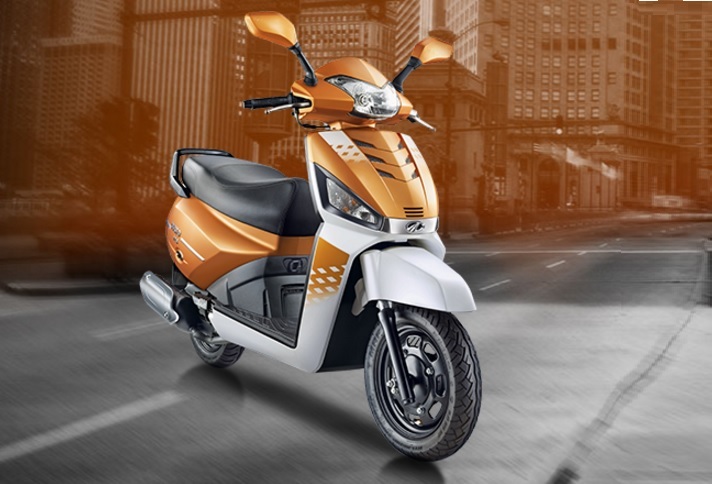 Scooter market is growing rapidly in all segments from the 100cc to the 125cc. Mahindra themselves have been doing really well in this category for a new player with this brand new grounds up product. Almost selling 10,000 units a month, the Gusto has shown signs of success and Mahindra really want to take it forward with this new powerful engine. We all thought its coming before the Auto expo as the test rides and unveiling has been done, however, now Mahindra says that the launch will have post Auto Expo 2016. We expect the price start from and price will follow. We expect a price tag of Rs. 55,000 and end around 60,000 for top-end variant which will have all the features. We expect same chassis and suspension units as seen on the 111cc unit which means telescopic forks at the front and mono-shock at the rear with the same underbone type chassis. Ride and handling should be impressive. The engine will be a bored version of the 111cc engine now displacing 125cc. Engine makes the same 8.6 BHP of power. However, the important thing is the torque which stands at 10 Nm of from a higher capacity of engine which should help it pull better in all conditions. Two seat heights, 770 at the highest position and 735 at the lowest. 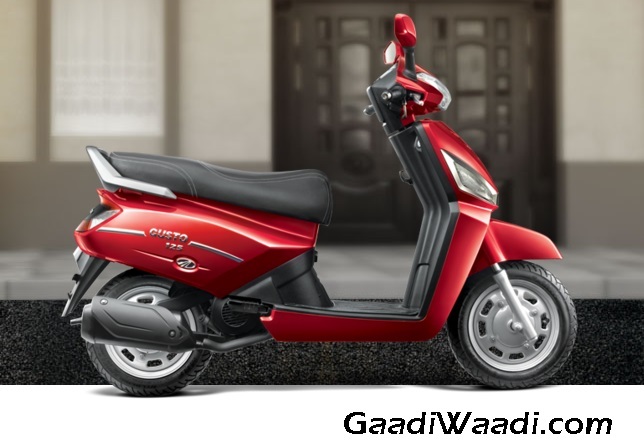 Styling is the same as the 111cc scooter which means a boxy design overall with neat touches to the rear. A large tail and head lamp is seen on the scooter. 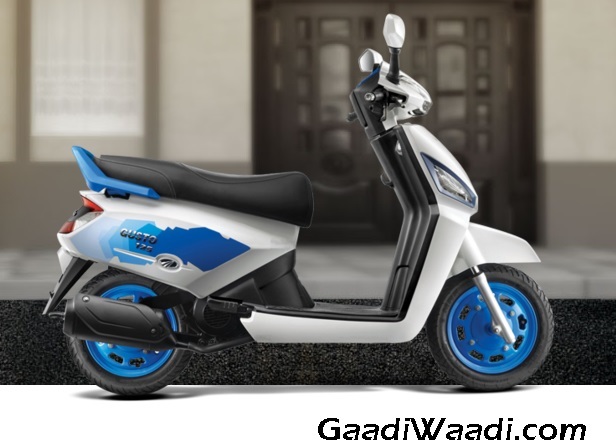 Scooter has a lot of potential to look different with the color options which Mahindra provides. 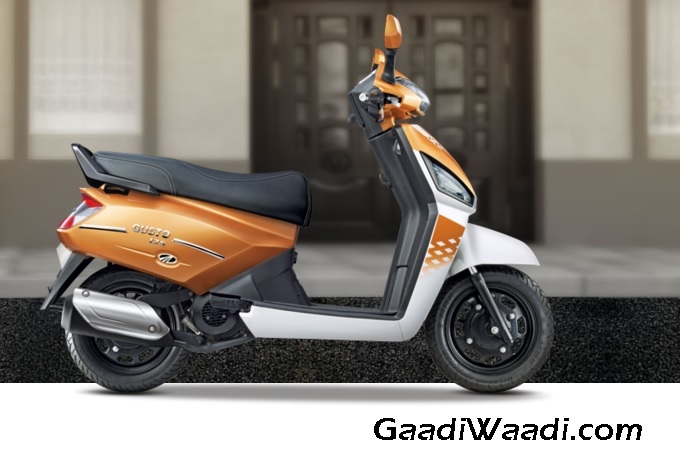 Colours: Orange Rush, Blue Bolt, Monrach black and Regal RED are the new colors on the 125cc Gusto. Colours may not be available in all the variants and they can vary.